Favor confirmar disponibilidad del Apartamento para 10 de octubre hasta 17 de octubre. 5 personas. Favor informar precio de la semana. Build in 2004, these 2 beautiful, new self-catering apartments, 1 on each floor, located on a quiet and peaceful residential area of the old town of Funchal, and located close to almost everthing, is the ideal location to relax and enjoy the climate during your holidays. 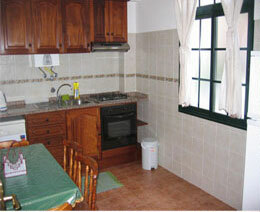 Charming, bright and very spacious apartments. The fully furnished ground floor apartment with authentic wooden floor throughout, possesses 2 double rooms with bathroom (bath tub and shower) each, a living room and fully equipped kitchen (including fridge, stove, oven, microwave and water boiler). 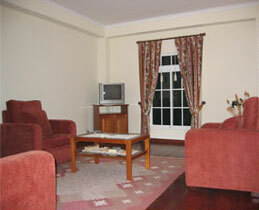 All rooms possess cable tv. The fully furnished top floor apartment with authentic wooden floor throughout, possesses 3 double rooms with 2 bathrooms (one private, another shared with the third room), and fully equipped kitchen (including fridge, stove, oven, microwave and water boiler). All rooms possess cable tv. Both bathrooms possess bath tub and shower. 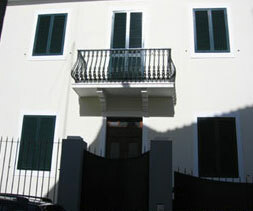 Both apartments also possess sun-terrace at the back of the building. 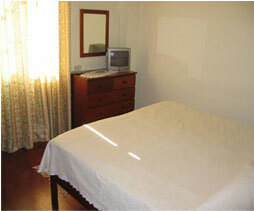 Services included: Linen, towels, cleaning service, normal consumption of water and electricity. Levada walks, golf and swimming nearby: The apartment is the ideal base to explore the beautiful island of Madeira, its strategic location in the heart of Funchal means it is just by the seaside were you can swim, water ski, sail and much more. There are 2 golf courses quite near, such as Palheiro Golf Course which lies just 10 min away and Santo da Serra Golf Course - 20min away. Madeira is a walker&#8217;s paradise and from here you can reach the mountains and discover the Levada trails as bus stations and bus stops which you can find nearby will lead you to every part of the island. Local café and corner shop is a couple of meters away.